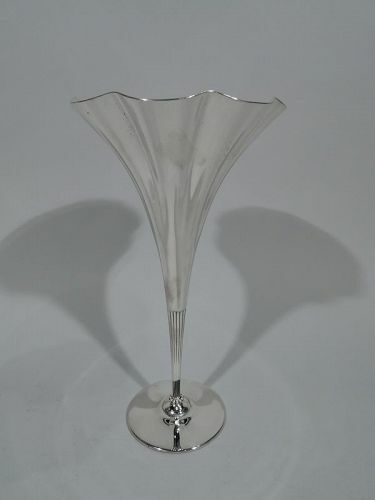 Are you in the market for a beautiful item that will perfectly display flowers? 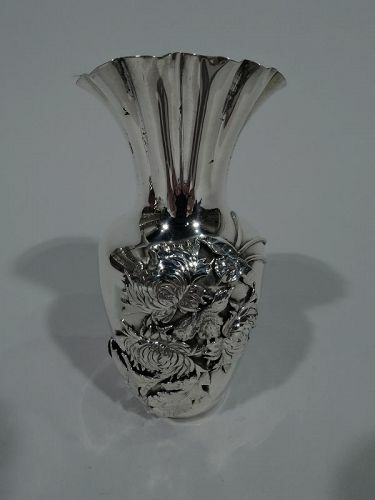 Our sterling silver vases will easily become a new favorite in your home. 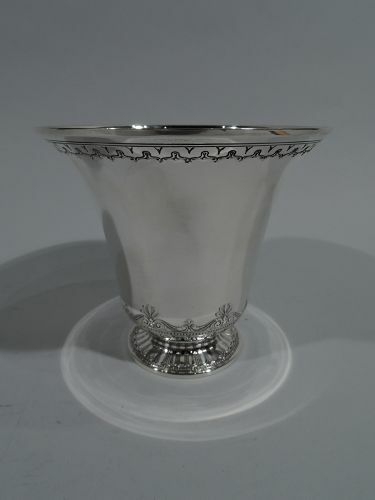 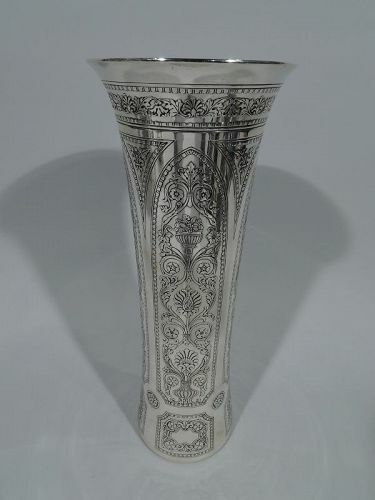 By choosing from Nelson and Nelson, you'll find an antique sterling vase that tells a story with its unique etching and historical influences. 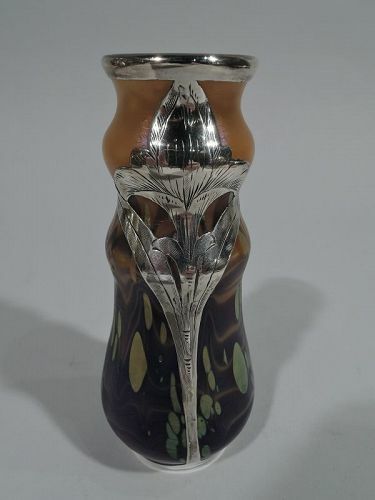 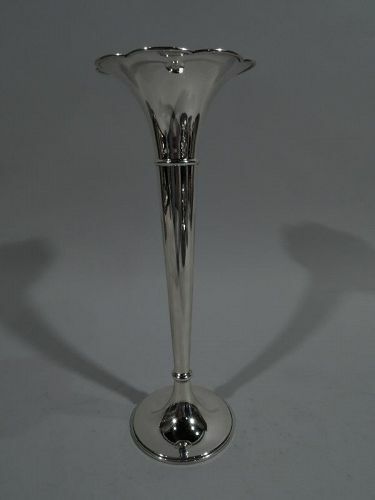 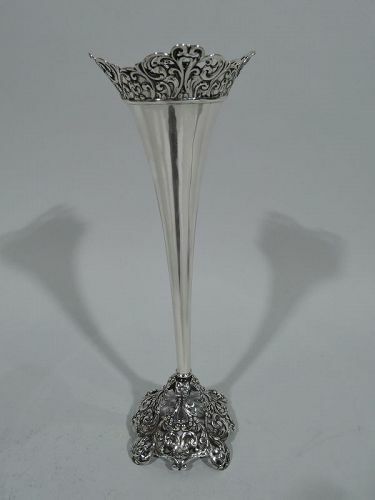 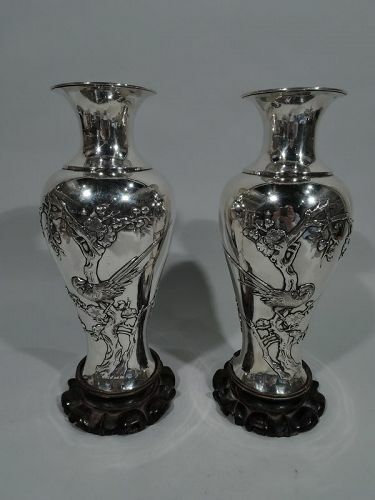 We carry Art Deco and Art Nouveau sterling silver vases as well as Edwardian and Victorian antique silver vases. 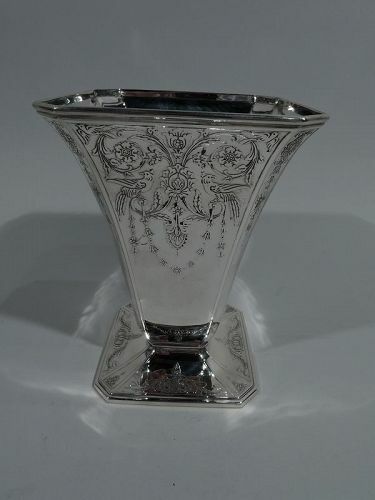 These also make perfect gifts for flower lovers. 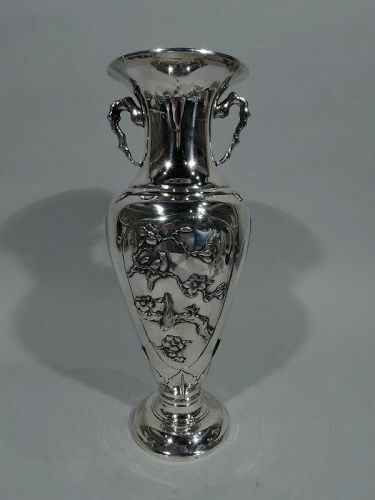 Browse our extensive collection of old, gorgeous sterling vases that have a long and rich history. 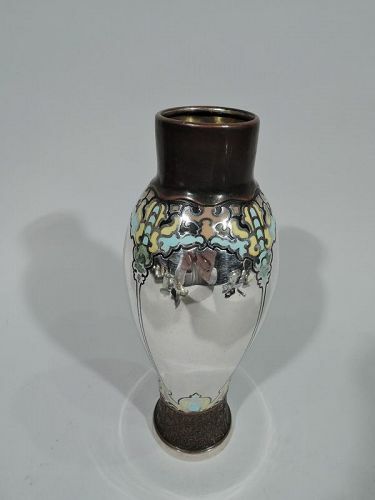 Don�t settle for any old vase. 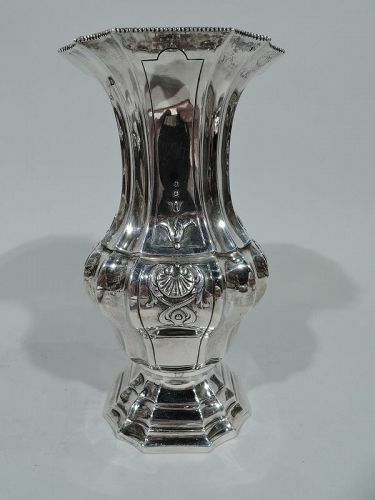 Find a silver antique vase here at Nelson and Nelson today.